Shop online for 127 paint pigments at discounts up to 50%. Vallejo Acrylic Paints is ranked #1 out of 6 paint pigments manufacturers, followed by Abteilung, and AK Interactive. This is the 30ml Bottle Light Sienna Pigment Powder from Vallejo. 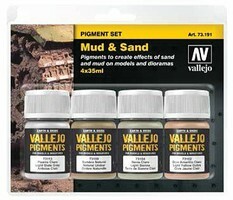 This is the 35ml Bottle Mud & Sand Pigment Powder Set (4 Colors) from Vallejo Acrylics. This is the 30ml Bottle of Desert Dust Pigment Powder from Vallejo Paint. 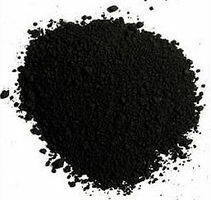 This is the Carbon Black Pigment Powder (30ml) from Vallejo Acrylic Paints. 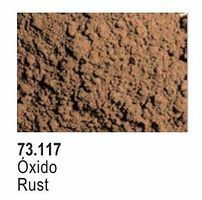 This is the 30ml Bottle Rust Pigment Powder from Vallejo. This is the Burnt Sienna Pigment Powder (30ml) from Vallejo Acrylic Paints. This is the 30ml Bottle of European Earth Pigment Powder from Vallejo Paint. This is the 30ml Bottle of Dark Steel Pigment Powder from Vallejo Paint. This is the 30ml Bottle Burnt Umber Pigment Powder from Vallejo. This is the 30ml Bottle of Old Rust Pigment Powder from Vallejo Paint. 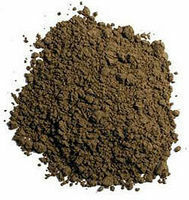 This is the 30ml Bottle Natural Sienna Pigment Powder from Vallejo. This is the Rust Wizard Weathering Liquid Pigments Set (6 22ml Bottles) from Lifecolor. 60ml Bottle of Thinner for Model Air and Liquid Acrylic. Thiner used to extend the colors, to increase fluidiy and delay the drying time. We recommend the addition of a few drops of thinner to the colors while airbrushing. This is the 30ml Bottle Light Yellow Ocre Pigment Powder from Vallejo. 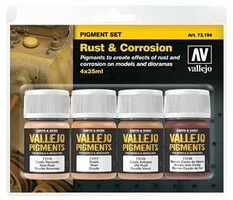 This is the 30ml Bottle Fresh Rust Pigment Powder from Vallejo. This is the 30ml Bottle Light Slate Grey Pigment Powder from Vallejo. This is the 30ml Bottle Green Earth Pigment Powder from Vallejo. This is the 30ml Bottle of Faded Olive Green Pigment Powder from Vallejo Paint. 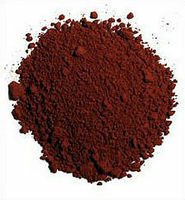 This is the 30ml Bottle Dark Red Ocre Pigment Powder from Vallejo.